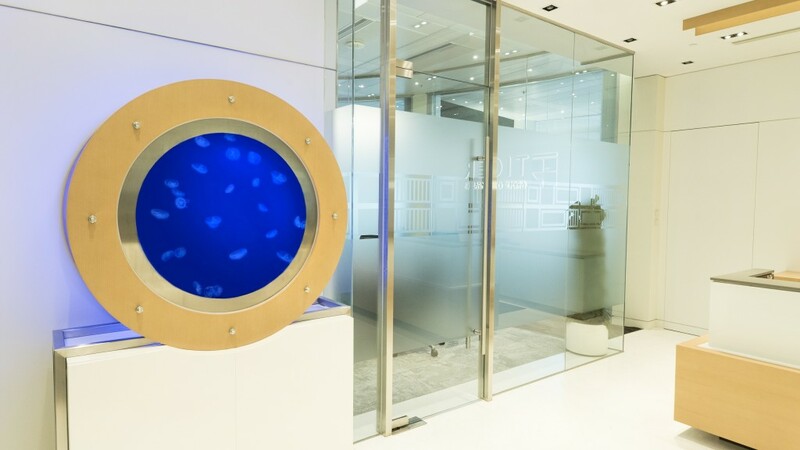 In 2017, Oceanbuilder made this 1.4 meter round-shape Jellyfish Aquarium for our client. 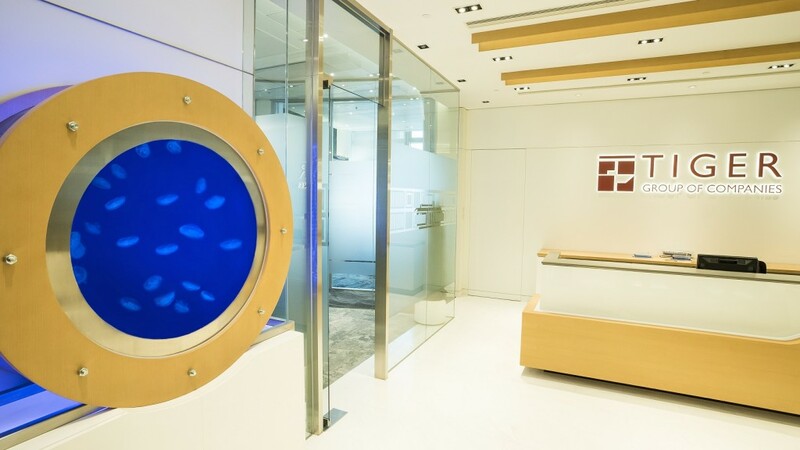 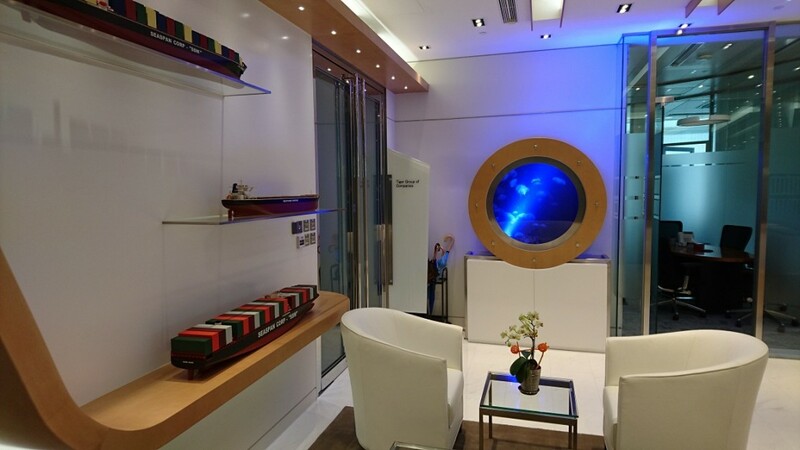 The client is in shipping business, to be in concert with its business and the design of the reception desk and foyer, an idea of a round-shape Aquarium to mimic porthole cabin window came up. 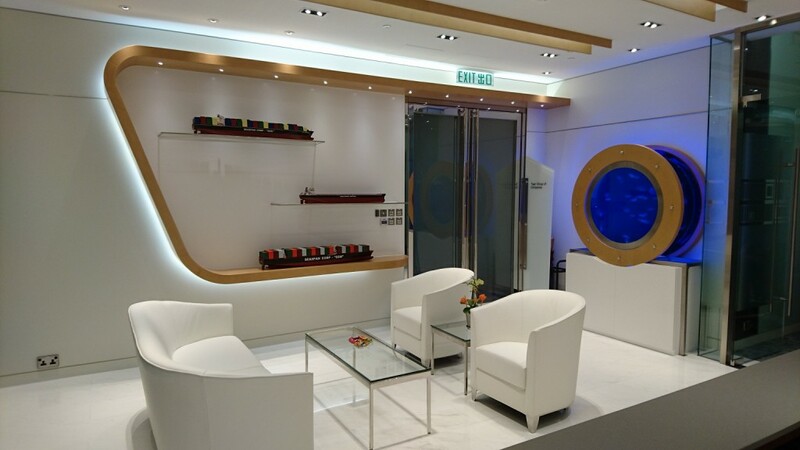 The gold colors of the porthole frame also in consistent with the reception desk. 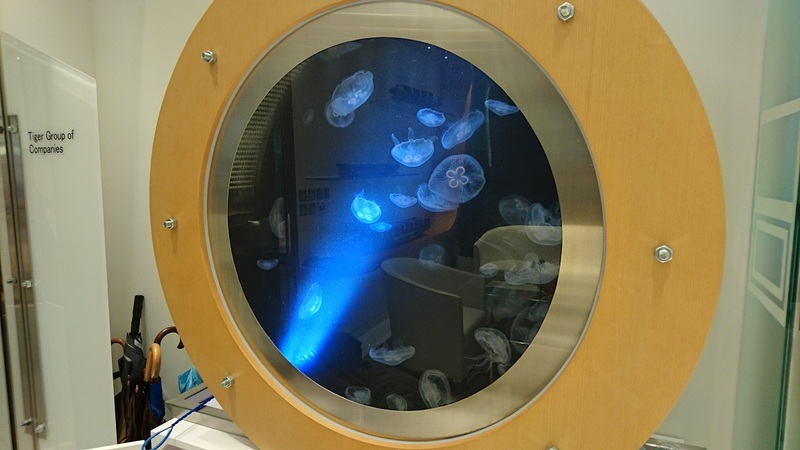 Oceanbuilder design and build the jellyfish aquarium with our jellyfish specialist designs the shape, suitable water flow and the life support system of the aquarium.